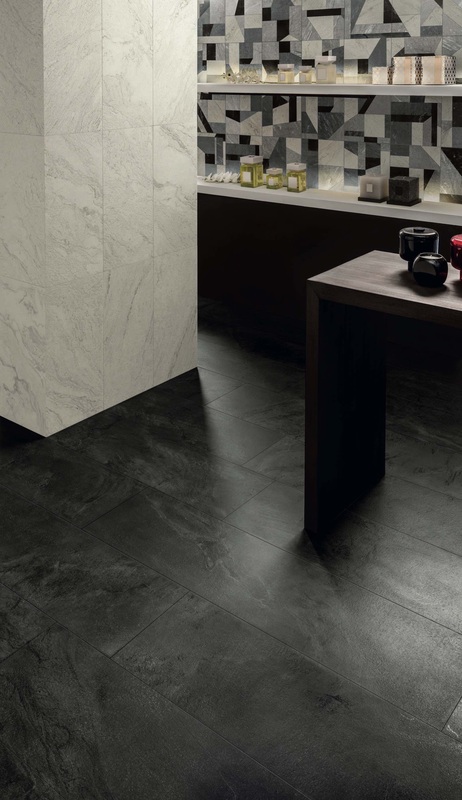 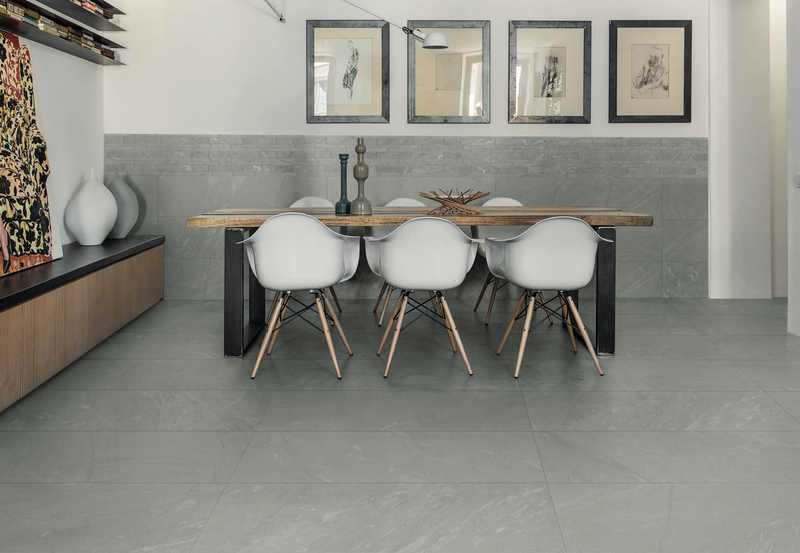 As well as a notable variety of sizes, ranging from 60×120 to the 30×60 cm sizes, Inner stone-effect porcelain stoneware tiles have a rich and emotive color palette which interprets, with style, floor and wall tiles for indoor ambiances: Peak, a luminous lively white, Steam and Lake, two tempered grays with different chromatic intensities, Shore, warm and reassuring beige and, last but by no means least, Cliff, a deep enshrouding black. 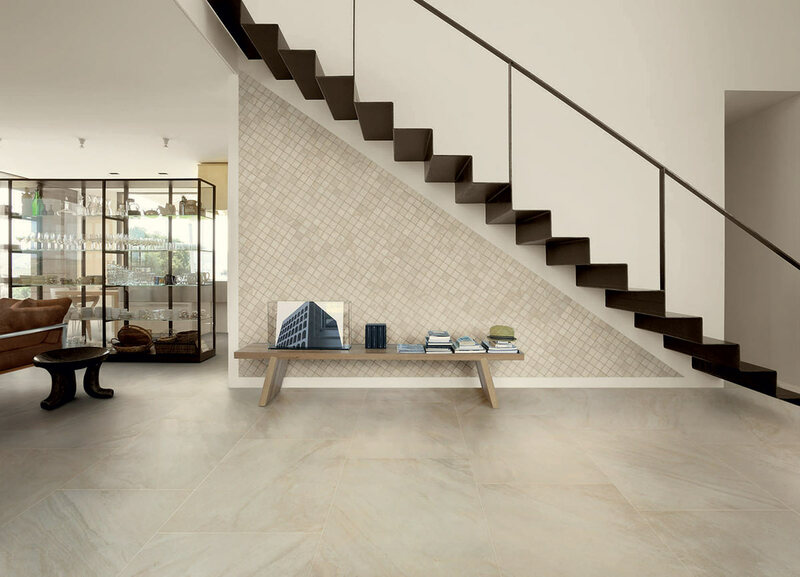 The quartzite stone-effect series of tiles also offers a wide range of decors characterized by strongly distinctive surfaces that are perfect for unique furnishing solutions: geometric shapes of the Tangram decor, and the subtle gilded hints of Stardust, Inner is the stone-effect tile collection created as the answer to the needs of innovation and versatility of contemporary architecture. 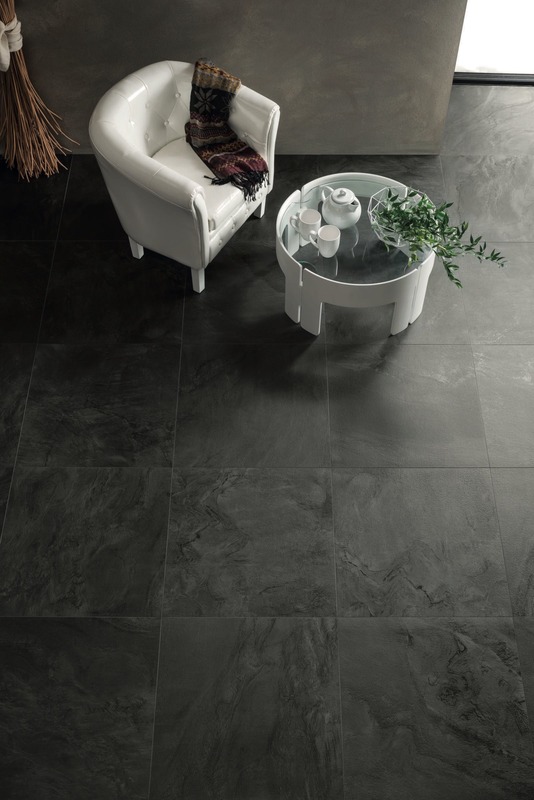 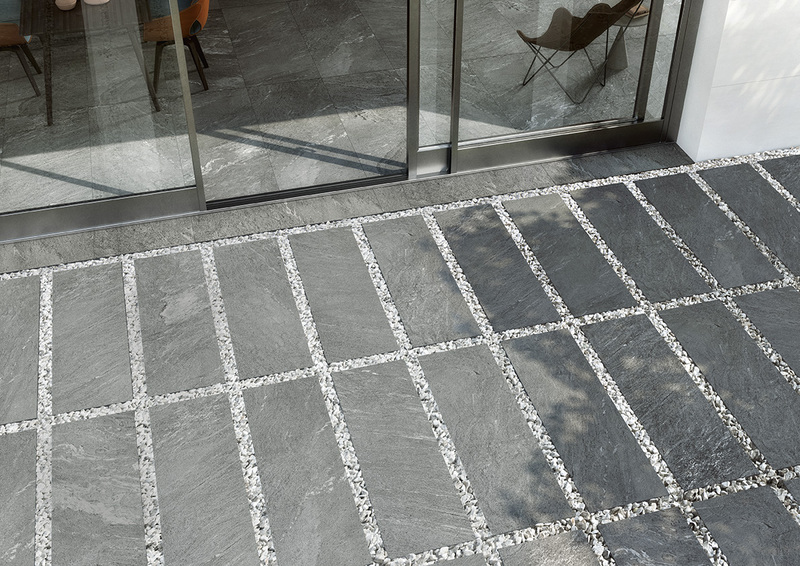 The range is enhanced with the guarantee of quality and environmental-friendliness of Italian-made porcelain stoneware.